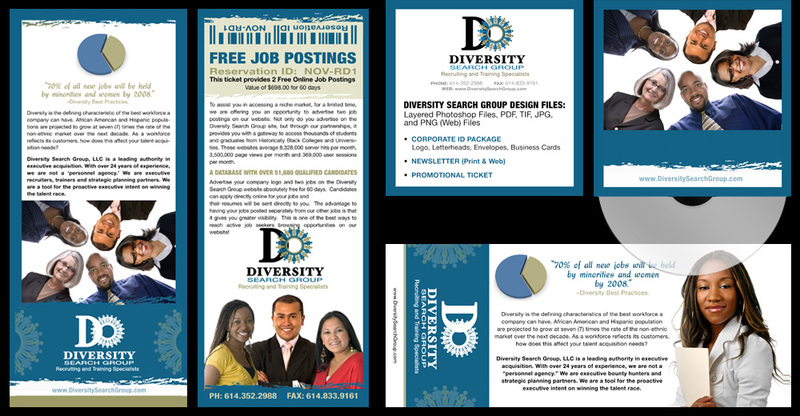 The Diversity Search Group is a Diversity Career Center that allows you to Post Resumes, Search top Diversity Jobs, Minority Career News & Resources. This recruiter actively seeking diverse talent. Corporate Branding for Ohio Employment Recruiting Agency. A logo design was created to reflect a diverse, people-oriented, professional, recruitment agency. 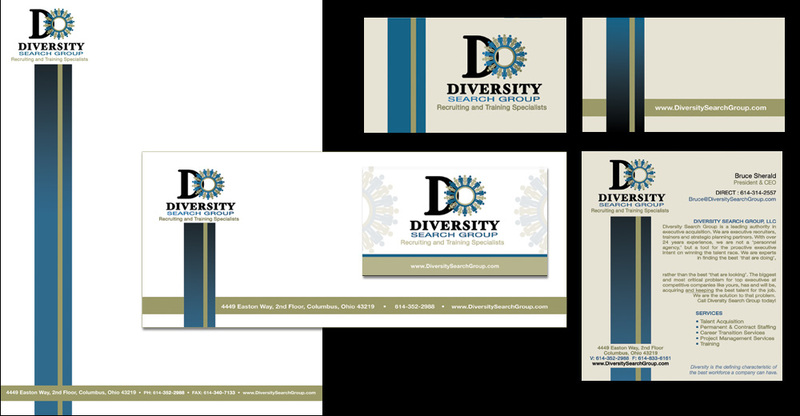 A Corporate Branding package comprising: Business Cards, Business Stationery (Letterheads, Envelopes, Business Cards, Invoice, and Employment Forms was put together. Marketing Materials including a promotional Post Card, promotional Ticket, PowerPoint slides, online Newsletter and Web Design template were created. 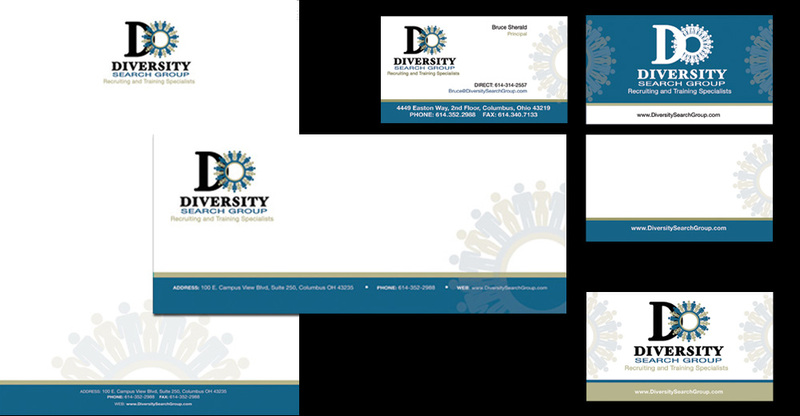 Diversity Search Group Corporate Identity: Folded Business Cards, Letterhead and Envelope for corporate clientele. 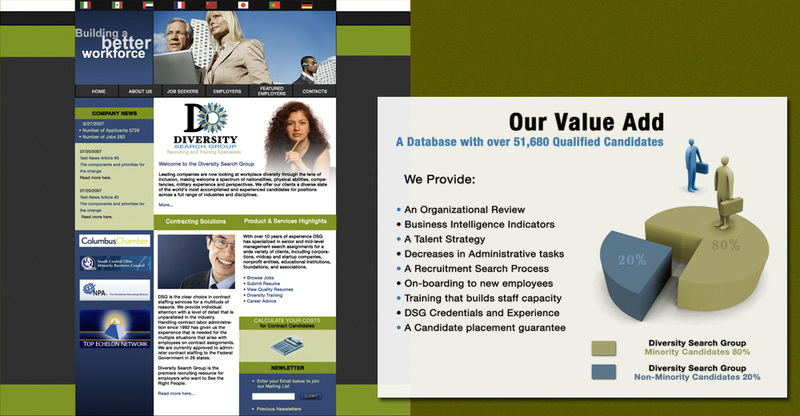 Diversity Search Group Photoshop and HTML Web template and PowerPoint slide.